This after shave lotion has been formulated and crafted by barbers from naturally derived ingredients and refreshes, soothes, and tightens pores after your shave. 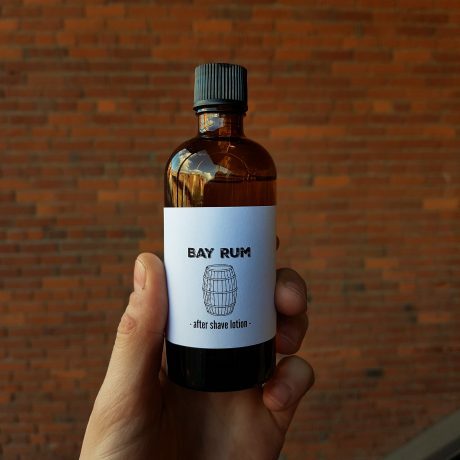 Bay Rum is a sweet & spicy scent that pairs very well with any of our all-natural shave soaps. Comes in an amber glass bottle that looks great on the counter and also preserves your aftershave. Bring back your empty bottle and we’ll refill it for you. Ingredients: Ethyl alcohol, Pine (pinus banksiana) extract, Matricaria flower (chamomilla reutita) extract, Nettle leaf (urtica dioca) extract, Dandelion leaf (taraxacum officinale) extract, Clover flower (trifolium pretense) extract, fragrance. This product calls for a lotion; however, the consistency is a liquid and is therefore applied much more like a post-shave splash. The difference between a splash and this product is that a true splash evaporates quick and/or washes off easily, while this one leaves you with a hint of a lotion, especially noticeable when rubbing your hands together after application. Those with a dryer skin type know that a lotion is naturally the better option over a splash, but not everyone likes the feel of it. For this very reason, I have really gotten to like this product! Apply like a splash – *Dap dap dap: Aaaaaaaaahh!!! * and end with a soft/supple skin much like you would expect from a lotion. 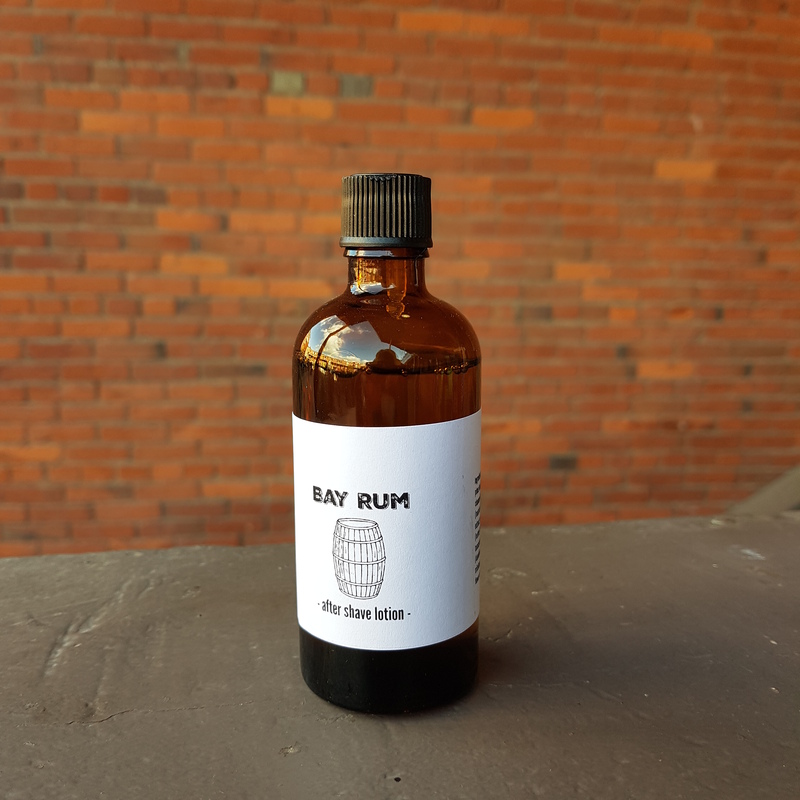 Scent: Bay Rum – Subtle yet noticeable.